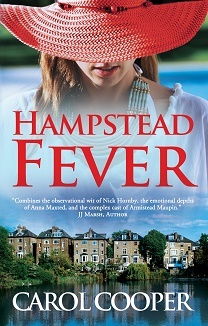 This week, Carol Cooper, author of Hampstead Fever, insisted I empty the contents of my handbag for her blog. It was great fun! Thank you for the opportunity to chat. It was great fun to spill the contents of my handbag during the fun interview. Now I look forward to your next handbag, Jessie, as well as the new edition of your novel. Thanks, Anne. I love Jessie’s quirky take on interviewing. Thanks, Wendy. Jessie is a great interviewer and full of ideas. Good luck with your story collection. I loved this! Jessie’s reviews are always worth reading. Thank you. They’re lots of fun, too.